Most Stephen King fans remember him playing Jordy Verrill, the "lunkhead" who becomes a giant plant monster from outer space in the movie version of Creepshow. But King's association with comic books goes way beyond that. DRAWN INTO DARKNESS delves into the hidden world of King's comics career, from the creepy early adaptation of "The Lawnmower Man" to his part in creating the Eisner Award Winning Best New Series, AMERICAN VAMPIRE. We look at the ongoing success of adaptations like THE DARK TOWER and THE STAND, and examine why the similar adaptation of THE TALISMAN failed. See how King tried to kill Kitty Pryde from the X-Men, whether he prefers Betty or Veronica, and why he continues to be obsessed with Batman: all here in DRAWN INTO DARKNESS! Дебелата над 560 стр. библиография съдържа 958 статии с подробна информация за всичко, което Кинг е написал през периода 1959 - 2005 г. 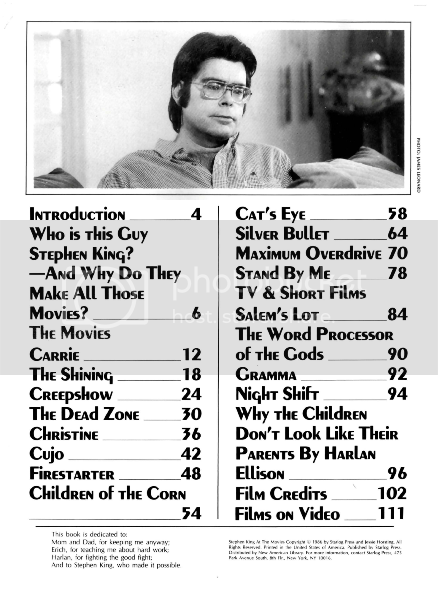 The newly revised 2013 edition of Stephen King: A Primary Bibliography of the World's Most Popular Author is by far the most comprehensive Stephen King Bibliography ever produced, with 1450 separate entries, each with a short description and full source data, from publication information right down to page numbers! Author Justin Brooks spent twelve years compiling this outstanding reference work, with the assistance of many of the leading King researchers, collectors and 'super-collectors'. Covering all King's published and known unpublished works from 1959 to the beginning of 2013 it reveals for the first time dozens of works and appearances previously unknown to King researchers. Every known English language appearance of the nearly one thousand pieces of fiction and non-fiction (along with screenplays, plays, poems and even recipes and puzzles) are listed, many of which were also previously unknown in the King community. Introduced by noted King researcher Rocky Wood, author of Stephen King: Uncollected, Unpublished. Много полезна и добре систематизирана тема! Благодарности! THE CEMETERY DANCE SPECIAL EDITION INCLUDES UPDATES AND MATERIALS NOT AVAILABLE IN ANY OTHER EDITION! 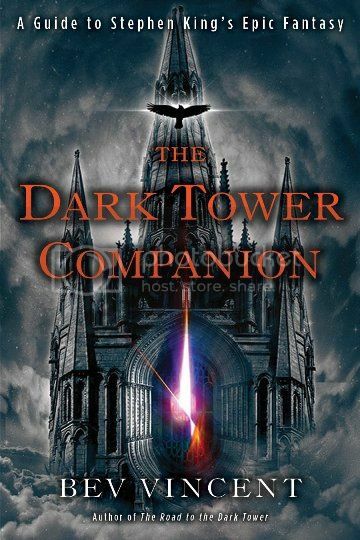 The Dark Tower Companion is the ultimate compendium to King's evolving magnum opus, presenting the mythology, history, and geography of this epic fantasy that has captivated generations of readers. Featuring interviews with Stephen King, Ron Howard, Dark Tower expert Robin Furth and others, Bev Vincent reveals The Dark Tower's influential literary origins, examines its connections to the vast majority of King's other novels, explores the expanded universe, catalogs the major characters, locations and concepts, and includes a travel guide to the story's real-world locations, giving fans who have followed Roland's journey—or those who are discovering it for the first time—a fascinating overview of the series and an inside look at the creative process of one of the world's most popular authors. How does one determine what the greatest work of an author’s career is? The answer to this query, posed in the final pages of this book, can be found throughout Vincent’s in-depth analysis of King’s seven-volume Dark Tower epic (The Gunslinger, The Drawing of the Three, etc.). Making sense of a story that switches back and forth through time, across multiple universes, and involves the safety of a tower that represents the fate of all existence is no easy task. Kudos to Vincent for even trying. But readers beware—the work is analyzed in its entirety, so expect spoilers galore. Vincent—whose column on Stephen King, "News from the Dead Zone," appears in Cemetery Dance magazine—tracks the evolution of both King’s three-decade avocation (the very first line was written in 1970) and the development of the saga’s characters and plot. Most importantly, Vincent shows how the few members of gunslinger Roland’s fellowship, recruited to help him protect the Tower, slowly evolve from reluctant participation to resolve about their leader’s quest. Former cocaine addict Eddie, for example, puts his sarcasm and skepticism aside and learns to embrace the dream of his surrogate father. 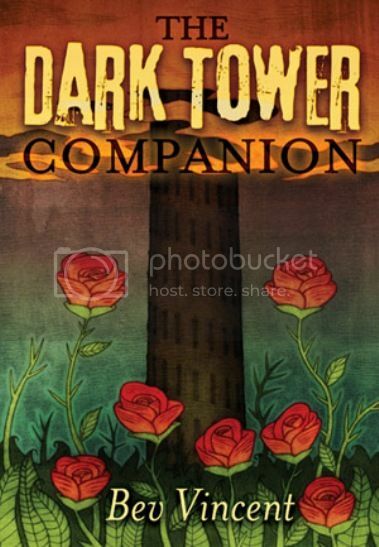 As Vincent writes, "If Roland were to die on their journey, Eddie would continue with the others, for having dreamt of the Tower and the field of roses, the compulsion to reach the Tower claims him, too." Vincent also devotes a full chapter to discussing some of King’s other works that are related to the Dark Tower series, such as Hearts in Atlantis and Insomnia. 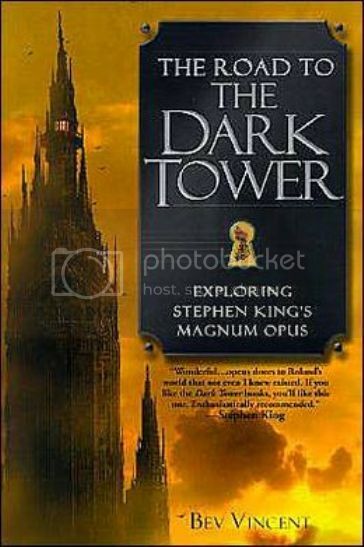 In light of King’s own admission that the Dark Tower epic is the nexus of all his books—"The Dark Tower finishes everything that I really wanted to say"—Vincent asserts, "What else, then, is a magnum opus if not something that both ties together and summarizes a person’s life’s work?" With this thorough analysis of King’s epic, Vincent proves himself a master of the Dark Tower world. Besides recapping the epic itself, Vincent points out the most germane aspects of other King novels and stories that touch upon it, sketches its leading characters, notes influences on it, and discusses its creation and the layered, self-consciously reflexive concept (King himself is a character in it) that animates it. Appended are chronologies of the saga's writing and publishing and of events in its main setting, Mid-World, and in "Keystone Earth" (i.e., our reality from the 1950s on, but including the saga's characters' doings when, at various times, they enter it), a too-small Mid-World glossary, and the Robert Browning poem that initially inspired King. The large and perdurable King fandom should embrace Vincent's effort and spur him to correct misstatements about the Odyssey and Dante's Commedia, in particular, in the chapter on influences and explain the saga's many pop-cultural references (e.g., the Crimson King) in future editions. The text has been updated (Dark Tower chapter to include Wind Through the Keyhole), there's a new chapter (13 - covering Under the Dome, 11/22/63 and Doctor Sleep) and a revised conclusion mentioning Joyland and Mister Mercedes. Available Nov 5. 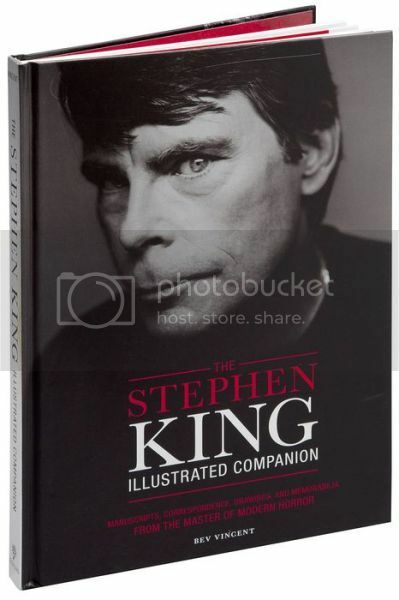 An interactive approach to King's greatest works, The Stephen King Illustrated Companion features a wealth of unseen memorabilia from the author's desk and insightful text that reads between the lines to uncover King's own compelling biography. Supplemented with rare and previously unpublished ephemera from King's archives, such as hand-edited manuscript drafts, revealing letters between King and his editor, and personal mementos from his career, this unique companion volume tangibly illuminates the writer's works and life in a way never done before. This 750 page manuscript dives deep into the works of Stephen King and will be an incredible addition to any collection. * how technology has impacted and interpreted King's work, from video games like The Mist to eBook exclusives like "Mile 81" and "Ur"
* essays on King at the movies, King on audio, and a whole lot more! 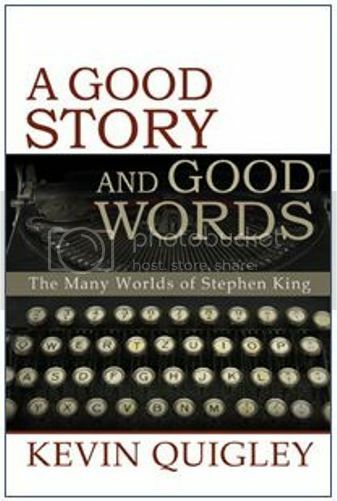 Packed with information, A Good Story and Good Words is a fresh, fun, and exciting journey through the many weird and wondrous worlds of Stephen King! 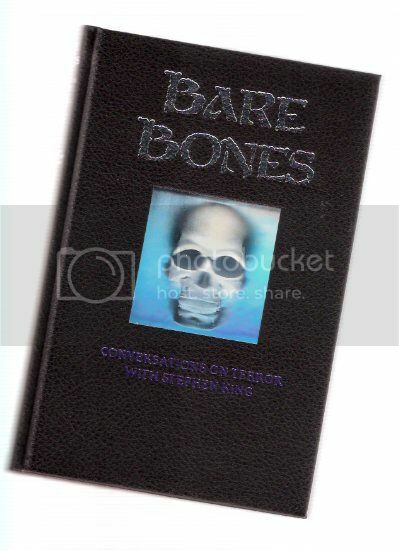 This edition includes Stephen King / Richard Bachman covers from around the world featured within this unique volume. 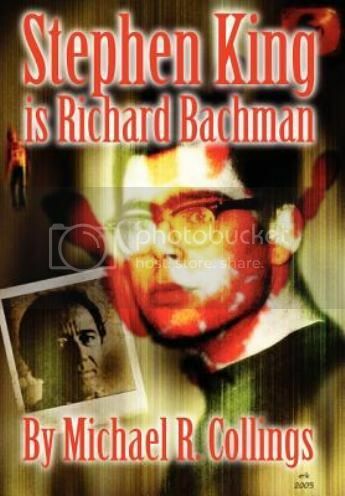 Stephen King is Richard Bachman by Michael R. Collings. 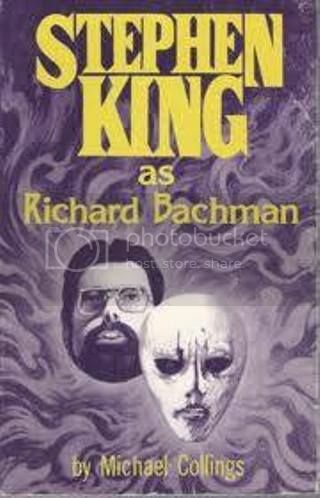 This is the whole story of how Stephen Kings Richard Bachman came to life, and when King finally had to give up the ghost and come forth with the truth that he was writing under the pseudonym of Richard Bachman. This of course came about when the fifth novel, THINNER, was released and a reader discovered Kings pseudonym. 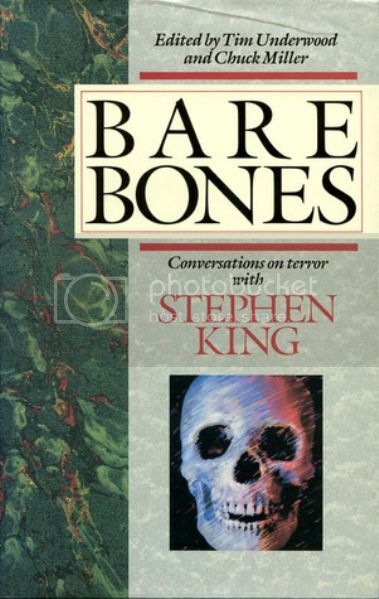 Now Michael Collings takes us from the beginnings of this unusual fiction side-show of Stephen King s body of work, to what we thought would be the last Bachman release, THE REGULATORS. 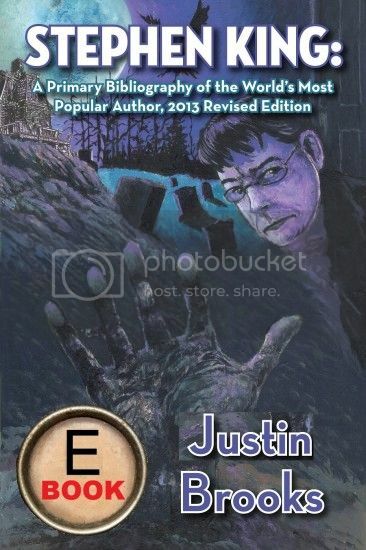 Updated and completely revised with new information and Richard Bachman releases since it s original publication almost twenty-five years ago. Chapters Featured: A History for Richard Bachman. Genre, Theme, and Image in Richard Bachman. RAGE. THE LONG WALK. ROADWORK. THE RUNNING MAN. THINNER. REGULATORS... and DESPERATION. Pipe-Dreams and Possibilities. Original cover art commissioned by Erik Wilson. Profusely illustrated with covers of Bachman books from around the world. 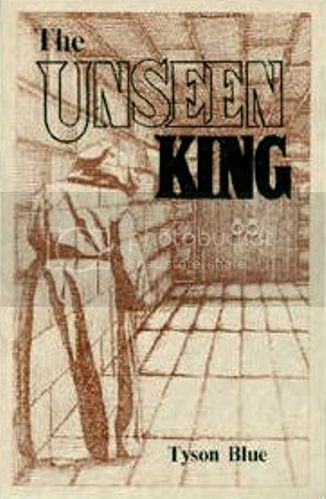 Blue’s The Unseen King was the first book-length work to tackle the subject of books and stories of which his mainstream audience was unaware. Uniquely, Blue discusses both King’s uncollected works and his limited editions in one book. Juvenilia such as "The Star Invaders" and "People Places and Things" and later publications such as "Crouch End" and "The Doctor’s Case" are given chapters alongside The Dark Tower books and the Land of Enchantment publication of Cycle of the Werewolf. A sort of catchall for all work not published in the mass-market (or at all), Blue’s book also explores screenplays, nonfiction articles, and poetry – and includes the first book publication of “Brooklyn August,” which would later appear in Nightmares and Dreamscapes. Simpson traces the writer's life from his difficult childhood - his father went out to the shops and never came back - through his initial books under the pseudonym Richard Bachman to the success of Carrie, Salem's Lot and The Shining in the 1970s, and beyond. He examines how King's writing was affected by the accident that nearly killed him in 1999 and how his battles with alcohol and addiction to medication have been reflected in his stories. The guide will also take a look at the very many adaptation's of King's work in movies, on television and radio, and in comic books. 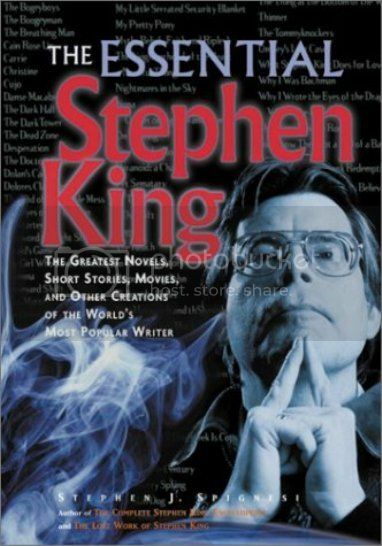 Stephen King: Uncollected, Unpublished is the most comprehensive review of the Stephen King works you've never read, including coverage of nearly one hundred unpublished and uncollected works of fiction -- novels, short stories, screenplays, and poems! 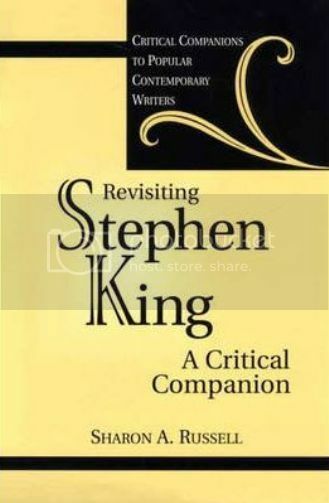 Best of all, this eBook features the complete text of two lost works written by King, including an entire chapter from King's unpublished 1970 novel Sword in the Darkness that has never been published anywhere in the world! 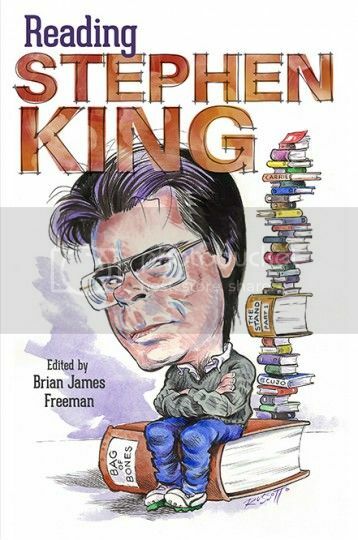 Stephen King: Uncollected, Unpublished also gives in-depth coverage to the nearly one hundred variations and versions of King's published stories: edits, updates, and changes King made between reprintings of his work. 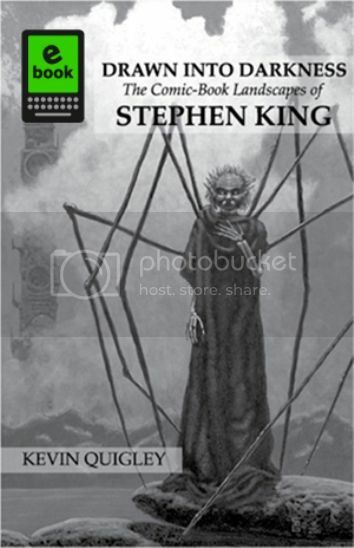 * The first and only publication of a very long chapter from King's unpublished 1970 novel "Sword in the Darkness" -- one of the lost Stephen King novels that only a handful of people in the world have ever read! This novel will never be published and this is your only chance to catch a glimpse of a young Stephen King developing his craft. The raw power that would eventually make him the bestselling horror author in the world is definitely evident in this very long excerpt. * The first book publication of the obscure King poem "Dino" -- previously only published in a small literary magazine and just recently discovered at the E.S. Bird Library of Syracuse University in New York! original screenplay submitted for The X-Files. It's a completely different story from what was later produced for the series as "Chinga" and the author gives in-depth coverage to the differences. * Essays covering two dozen of King's lost and hidden works that are not available anywhere in the world, such as "An Evening at God's" and the infamous "Squad D"
* Instructions on finding the original appearances of King's lost works that appeared in obscure publications, and suggestions on how you can add these rare works to your collection. 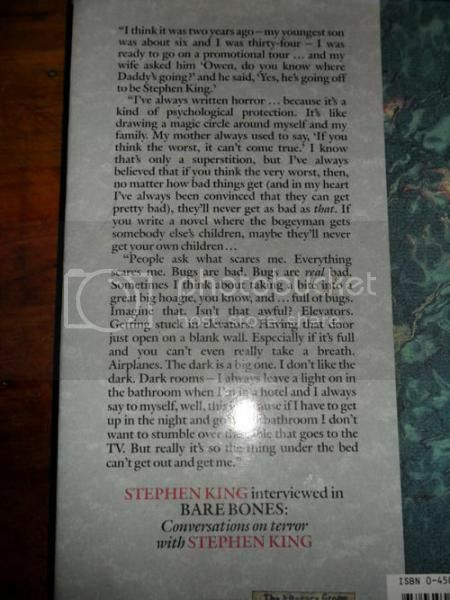 Аз по една дива случайност намерих А BRIEF GUIDE TO STEPHEN KING днес в една книжарница във Варна!!! Като я разгледах отгоре-отгоре останах много доволен, отдавна се оглеждах за нещо подобно - не за биография на Кинг, а за обзор на всичките му творби. А тази книжка е и от тази година, има няколко думи дори и за Доктор Слийн и за Мистър Мерцедес - яко! Много съм доволен! Цената пак беше луда - 22 лева за 260 страници книжле с меки корици!!! Живи и здрави да са, кожодерчета малки! In this newly available paperback edition, Spignesi selects and ranks the top 101 works out of the more than 550 created by King during his prolific career. Each chosen work is synopsized and reviewed by the writer that Entertainment Weekly has called "the world's leading expert on Stephen King." Fiction and nonfiction, well-known and obscure, scary and scarier--discussions of King's best short stories, novellas, screenplays, novels, essays, forewords, articles, introductions, and more are all here! From his best-selling novels (The Dead Zone, The Shining, Carrie, The Green Mile, Pet Sematary, It, Riding the Bullet, The Plant, The Dark Tower series, Insomnia), to short stories and novellas ("Survivor Type," "The Last Rung on the Ladder," "Gramma," "Shawshank Redemption"), thought-provoking nonfiction (Danse Macabre, On Writing, "Remembering John," "My Little Serrated Security Blanket," "Leaf-Peepers"), ...even an amazing column from King's college newspaper ("The Subject This Week is Cops")! "The Complete Stephen King Universe: A Guide to the Worlds of Stephen King"
The myriad worlds and universes King has created are, in reality, one world, one universe. Here is the guide to that universe. 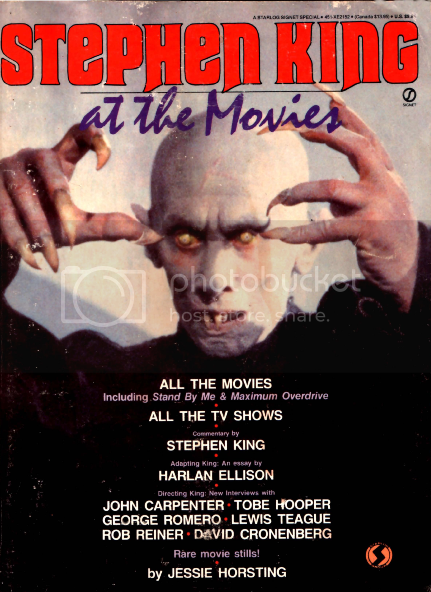 The Complete Stephen King Universe is the only definitive reference work that examines all of Stephen King's novels, short stories, motion pictures, miniseries, and teleplays, and deciphers the threads that exist in all of his work. This ultimate resource includes in-depth story analyses, character breakdowns, little-known facts, and startling revelations on how the plots, themes, characters, and conflicts intertwine. 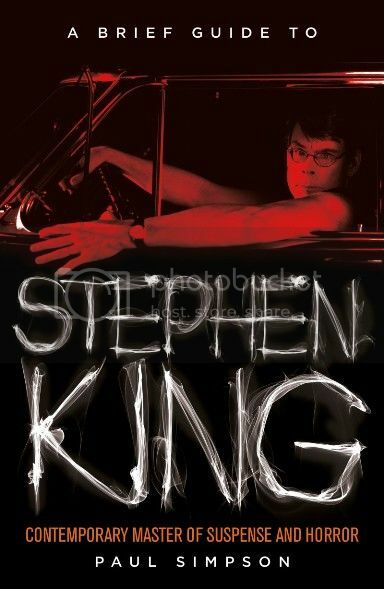 After discovering The Complete Stephen King Universe, you will never read Stephen King the same way again. "My mother always used to say, "If you think the worst, it can't come true." If you write a novel where the bogeyman gets somebody else's children, maybe they will never get your own children." 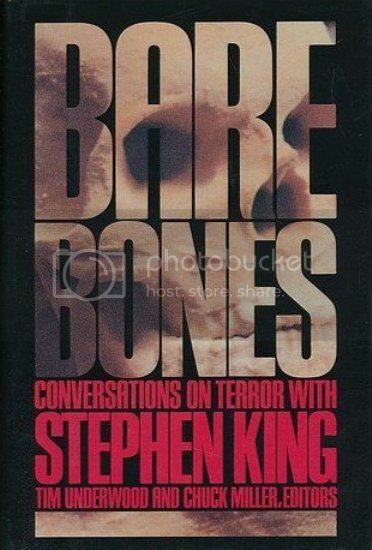 In this revealing and varied collection of interviews, Stephen King talks about his life, family, films and in particular about his macabre novels of the unknown that have made him so well known. 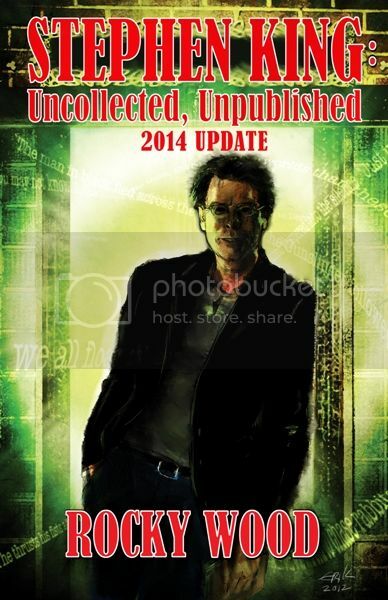 As with Rocky Wood's 2012 Revised and Expanded edition of Stephen King: Uncollected, Unpublished, this 2014 Update is an addendum to that volume and features many new and rare Stephen King pieces not previously discussed. There are a multitude of interesting updates in the revised edition of the classic book about Stephen Kings hidden work, Stephen King: Uncollected, Unpublished. This edition is likely to prove to the definitive book about Kings uncollected, unpublished and lost works. 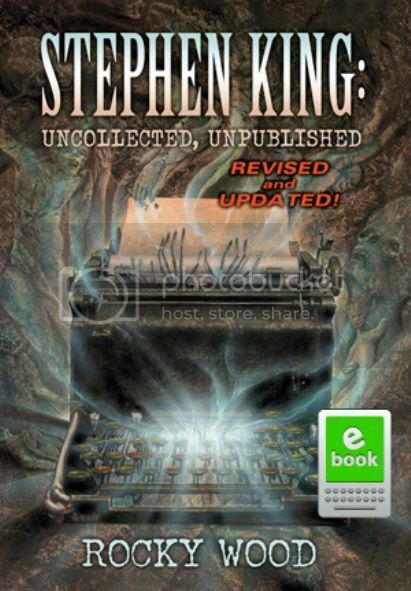 The Stephen King Uncollected Unpublished Fourth Revised and Expanded edition is still available and can be purchased together to give you a complete and current information to these rare works. In this Addendum to previous editions you will find full detail about: A poem lost since King s college days; Two unpublished short stories from the 1970s; A story that won King a prize (and a lecture) when he was in High School; Two lost stories from King s fan fiction days; A play he wrote when he was 12 for his boy scout troop; Important updates are provided to information about these previously known works After the Play; Kings senior Class Day play (including its title, content, and comments from King); and the story King wrote in fifth grade about his classmates being taken hostage. A number of stories Stephen King is rumored to have written are dealt with. A centerpiece of this Update is the full description of a lengthy busted novel Phil and Sundance. In addition, a new busted story that appeared to have great promise is described. The latest published but uncollected works are analyzed. Искам да попитам дали знаете къде мога да намеря електронен вариянт на Knowing Darkness: Artists Inspired by Stephen King ?